While we live a habitual life of road tripping and overall exploring, the month of August has been exceptionally busy, and I have neglected to document a lot of it. Back in July, Dan and I and Sitka headed to Montana for a 172km hiking/pack rafting trip with family and friends. Check out Dan’s blog for a detailed account and pictures (and a sweet video!) here. 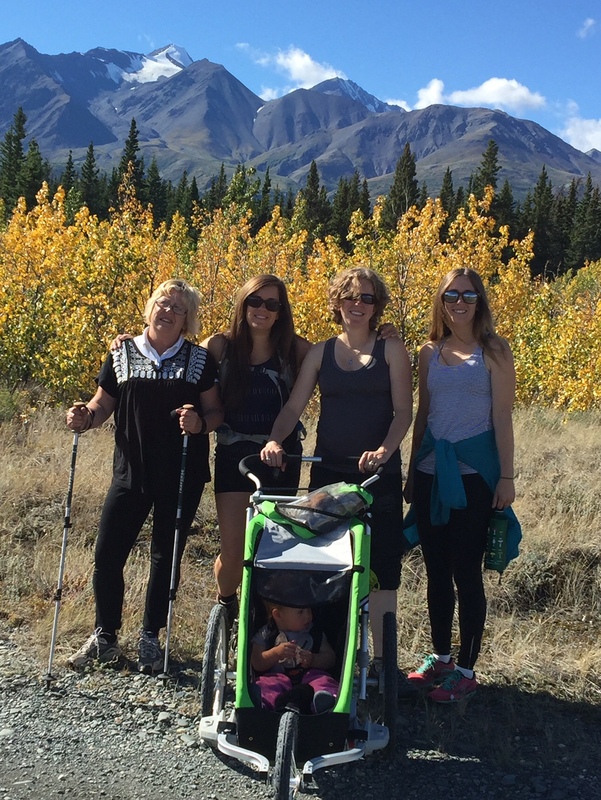 I had the wonderful privilege of seeing some of my family in Whitehorse Yukon earlier this month. 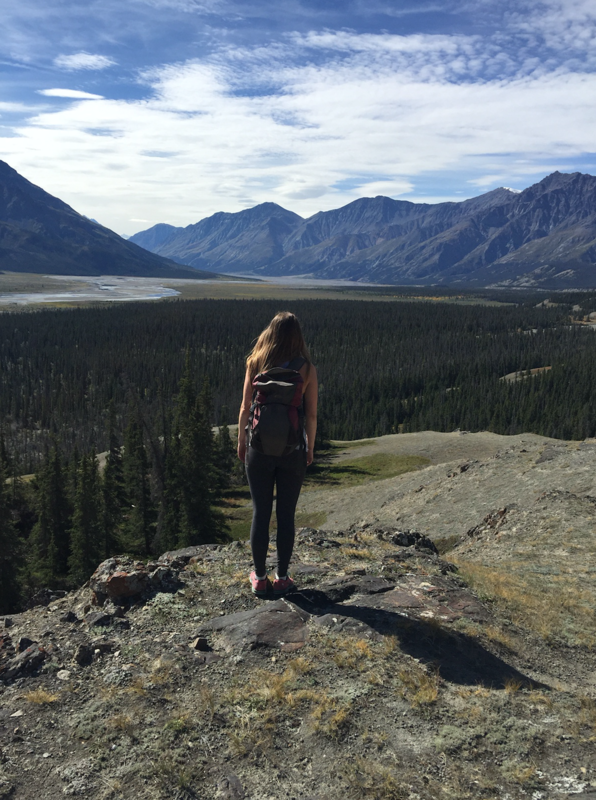 Let’s just say that a road trip to the Yukon has been added to our near-future-to-do-list. What a gem! Even though it is the “end” of summer, and my husband has been working on this for months, I finally gave in and we bought some rock-climbing gear for me. I should clarify – I have never really rock climbed, other than that one time in my teens when I was basically hoisted up the face by my brother-in-law (thanks Steve!). I was apprehensive to invest more money in yet another outdoor hobby…and what if I didn’t like it?! My ever encouraging, ever smart husband reminds me daily that I am strong and capable, and in this case, that I basically am a rock climber. Living in a van? Check. Obsessed with the outdoors? Check. Dangerously close to being a hippie? Double check. I got this. So, it was off to MEC the other night, to add even more gear to our busting gear bins. We just can’t seem to help it! To celebrate our 10 year anniversary (yay!! 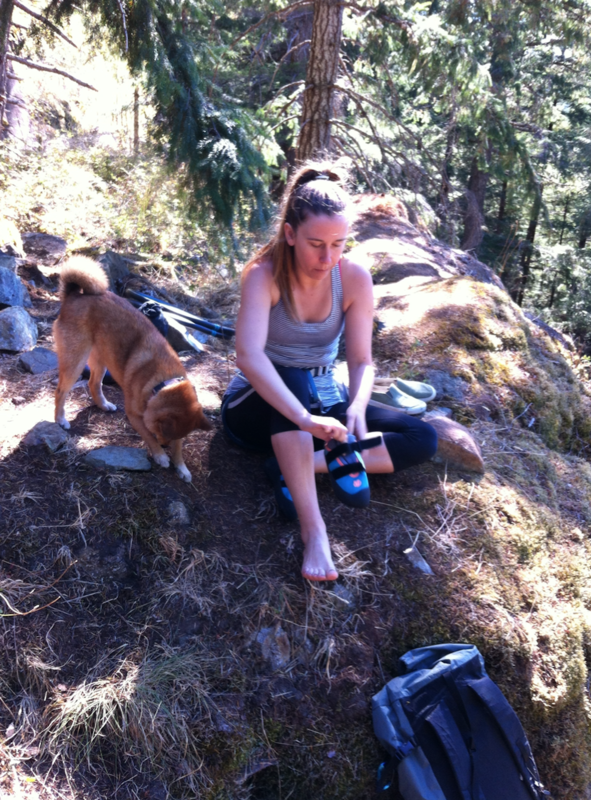 ), we headed off to Quadra Island, which boasts some of the best climbing in the area. We pulled into the recreation park, set up “home,” and got a good night’s sleep. The following day provided gorgeous weather! Dan showed me “the ropes,” and we were off! I loved it. (Obviously). Being as it was our 10 year anniversary, we splurged (for us) in a beautiful resort hotel room for the following two nights. It rained. A lot. No more rock climbing (boo!! ), but we managed to stay busy with lots of hiking, running, and for me, yoga and hooping. This is coastal weather…you gotta embrace the wet! Due to the rainy conditions, we came back to Vancouver Island Monday morning, lured by promises of drier, sunnier weather. We headed to the crags, and kept at it. Before we knew it, the day was nearly over, and our bodies were DONE. We keep moving to stay fit. We keep moving to stay stimulated. We keep moving to keep our sense of play alive. Boredom is a thief of joy. Hi Tara, Congratulations on your tenth year anniversary! You two have many adventures under your belts… I am trying to move it, move it and making myself walk. Trying to work off a few pounds. At my age 65ish it is not peeling off easily… lol! With four cats that depend on us and two beehives we don’t go far. We had visitors for a week and it was fun and got us out of our very comfortable zone… fall is around the corner and it is my absolute favorite time of the year.. Take care! Love your photos.. Mother Hen! Always a pleasure to hear from you. Sending hugs from T-Fox and Lorax! Lynette and I spent a very worthwhile day zip lining and repelling from the zip line down into the river at Elora Gorge. We repelled down over the rocks into the gorge. Pretty basic, but what a rush. Climbing would be awesome…….. maybe some day? Sounds like the best 10year anniversary! Wish I was there with you.